This mountain ranch is a diversified landholding offering hunting, fishing, a livestock operation, and modern, quality housing. It includes thousands of acres of owned lands plus virtually exclusive access to adjoining national forest lands. The wildlife is one of its outstanding assets. Year-round, there are good numbers of elk, mule deer, whitetail deer, black bear, wild turkey and mountain lion. The rainbow and brook trout fishing is notably good, and could be even better, in miles of year-round streams and ponds. The cattle operation is currently leased to a neighbor. The views are of the ranch’s timbered mountains and the adjoining Big Belt Mountain range. 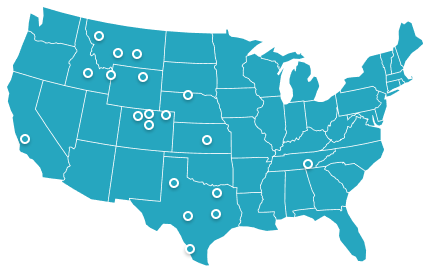 Access is year-round on a good, paved highway, 100 miles from Montana’s largest airport and 30 minutes from a local town offering basic services including restaurants, banks, motels, and shopping. Elk Basin Ranch lies in the middle of the Big Belt Mountains, on their eastern slope. The ranch consists of 3,193± acres comprising two units of land that lie one mile apart. The three principal drainages are Benton, Thomas and Kettle Hollow Creeks, which originate just above the ranch and flow through it for many miles to the Smith River. The ranches’ 3,193± total deeded acres consist of 2,004± acres in the Benton Creek Unit and 1,189± acres in the Kettle Hollow Unit. A county road connects the two. The Benton Creek Unit contains the buildings on the ranch, in sections 25 and 26. Of the two units, it is the most heavily timbered, much of it mature. The unit adjoins the Helena National Forest for five-plus miles and contains two principal drainages, Benton Creek and Thomas Creek. Benton Creek, a year-round trout fishing stream, flows through the property for three-and-one-half miles. Thomas Creek flows through the ranch for two-and-one-half miles and feeds a half-acre pond, also on the ranch. A valuable and intriguing element of the ranch and this unit is an appendage of land along Thomas Creek, extending into the national forest, to which the ranch owns private title. It is a mile and three-quarters in length and spans both sides of the creek drainage. The national forest lands adjoin this Thomas Creek area, and the whole Benton Creek unit is an Inventoried Roadless Area. This makes for very good hunting, because public access to the national forest is limited, which gives the ranch owner a privacy advantage. On the ranch itself, mature timber and water combine to provide superior elk rut habitat and security. This, along with the national forest land that is adjacent, provides the ranch owner unique access to an area that supports a resident elk herd of 200-300 head. The Benton Creek Unit also contains the irrigated creek-side hay lands. The Kettle Hollow unit of the ranch lies a mile to the north of the Benton Creek Unit. Kettle Hollow Creek flows through the ranch on its way to join Benton Creek. This hidden mountain valley has swamps, two miles of creek, and both a one-half-acre pond and a three-acre reservoir lying below the rocky, timbered ridgelines. These ponds and wetlands are unique features providing superior elk rutting habitat. An appendage of this Kettle Hollow unit provides access to an adjoining section of landlocked state land. Development of the Elk Basin Ranch is partially limited by conservation easements, which encumber 66% of the deeded land. These restrictions generally allow for most normal uses except for subdivision. The building of additional houses as well as commercial mining and guest ranching are all allowed. Copies of the private agreements are available at the offices of Hall and Hall. 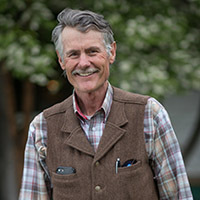 The improvements on the Elk Basin Ranch are accommodating, convenient and in excellent condition for a ranch of this type, without being either “over the top” or insufficient in any way. The homes on the ranch number two, each with three bedrooms and two baths -- one newer and modern, the other partially remodeled. The improvements on the ranch are all located in the northern shared corner of Sections 25 and 26. This is a two-level home of 2,040± square feet of living area, with three bedrooms and two bathrooms. It was originally built in 1997 and then remodeled extensively in 2011 for energy efficiency, simplicity, and beauty. The first floor contains a mud room, a great-room which incorporates the kitchen dining area, bedroom, bath, and a large office. The lower level has two bedrooms, one bath, a family room, work area, and storage closets. Details and Finishes: House exterior is rusted metal and Douglas fir, for minimal to no maintenance. The deck is 16’ x 16’, constructed with pressure-treated framing, and composite decking and rails. The roofing is the long-lasting variety of asphalt shingles. Solar-panel brackets are present on the garage roof for future installation of solar. The rain gutters are no-seam aluminum. The attached two-car garage is insulated, has a welding outlet, and is wired for a back-up generator (propane powered) with the propane tank line already run to the outside location for the generator. Kitchen Area: Cabinets are solid hickory with upgraded hardware, and granite countertops. Custom tile work is in the stove area and borders above the granite counters. There is a custom large island, with reclaimed bowling alley hard maple working top and cabinets below. There is a large walk-in dry goods storage room on the lower level, along with a large walk-in cedar closet next to it. Flooring is half-inch red oak, and the bathrooms have Marmoleum, an environmentally healthy product. The First-floor bathroom has a raised toilet, claw-foot tub, extra-large marble tile shower, and marble vanity counter. Wood trim throughout the house is Heart Pine, which was reclaimed from a warehouse in Chicago, the same source as the large structural beams in the great room/kitchen area. A central-air handler system allows for management of fresh air throughout the house. The most utilized heat source is a Vermont Soapstone wood stove with a soapstone base, which very efficiently heats the entire house. There is also a back-up propane cast-iron Jotul stove on the lower level, which can be used when the house is vacant. There is also electric-baseboard heat in the lower-level bedrooms, and in the upper and lower bathrooms. Note: the lower level has a separate entrance as well as entrance from the mud room. It also has a raised insulated wood floor above the concrete for comfort. The ground level entrance, wide hall, and higher ceiling provides an open feeling not normally found on a lower level. There is an underground lawn-sprinkler system. This log home has 2,145± sq. ft. of living area plus a 1,632± sq. ft. basement. It has three bedrooms, two bathrooms, and a central forced-air oil-powered heating system. However, the current owners have preferred to use a wood-burning stove and installed a new propane insert in the fireplace as back-up. The home was originally built in 1957. Remodeling has taken place since, with most of the windows being updated in 2014 and 2016. The roof is metal. Two calving barns that are in good condition. They are four-sided pole buildings with metal roofs, wood siding, dirt floors and electricity. Each was built in the 1960s. A detached garage (15’ x 39’) serves as a shop. It is an old log building with a dirt floor and uninsulated. It serves mostly to store tools. The machine shed (29’ x 66’) is made of wood pole frame and a metal roof with wood siding. It was also built in the 1960s. There are six miles of year-round streams between Benton Gulch and Thomas Creek, and another two miles of the ephemeral Kettle Hollow. Three ponds have a total surface area of four acres. The ranch owns 21 recorded water rights. The irrigation rights total 4.25 cubic feet per second of flow, and have priority dating back to 1910 out of Benton Gulch. These are for use as surface flow for flood-type irrigation and cover 75-100 acres. The rights for watering livestock number 12 and are from springs, wells, and creeks. For domestic, yard and garden, and stock watering near the headquarters there are three wells. The real property taxes for Elk Basin Ranch are approximately $4,989, based upon previous years. The three-and-one-half miles of Benton Gulch make for good trout fishing. A resident trout population includes Brook and Rainbow trout usually in the 8 to 14-inch size range. During the month or so of rainbow trout spawn there are very large fish in the creek, migrating up from a nearby reservoir. These include sizes delivered to hand up to 24 inches. As is typical of smaller mountain meadow streams, the existing willows along the creek inhibit back-casting and a serious fisherman would want to thin them to increase fishing access to more of the stream. There are no fish currently in the ponds, however, both the Thomas Creek pond and the ponds in Kettle Hollow appear to lend themselves very well to stocking with trout. The Missouri River, 90± minutes from the ranch, has the tail-water section of the river below Toston Dam offering world-class fishing for large brown and rainbow trout. For the lake fisherman, Canyon Ferry Lake is 60 minutes from the ranch and offers world-class fishing for a variety of species including walleye, rainbow trout, northern pike, brook trout and Kokanee salmon. 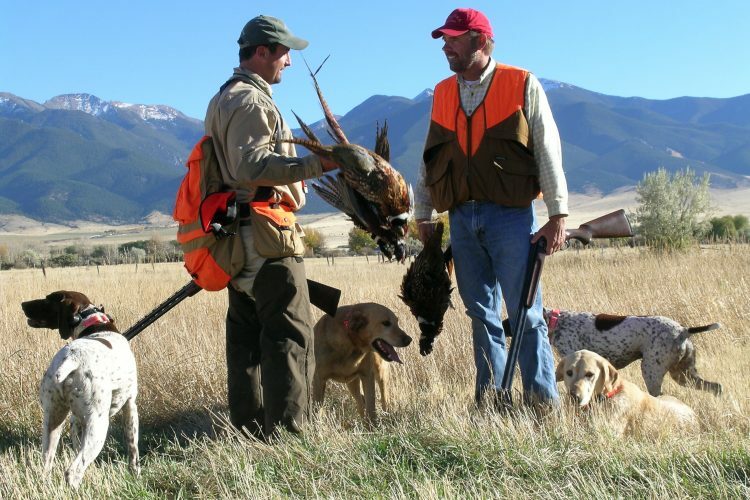 Elk Basin Ranch is rich in wildlife resources. It boasts a large herd of resident elk as well as huntable populations of mule deer, whitetail deer, black bear and mountain lion. There is also a large flock of wild turkey. Wildlife habitat is diverse. On the ranch itself, the mature timber and water combination provides great elk rut habitat with superior elk security. The Benton Creek unit contains the irrigated creek-side haylands. The ranch is well-located and contains all the things that elk need and love: food, cover and water. Carefully managed with selective cattle grazing practices, and given the varying terrain and habitat, the property feels and hunts much bigger than it appears. As mentioned earlier, a valuable and intriguing element of the ranch is that this unit has an appendage of land along Thomas Creek to which the ranch owns private title extending into the national forest. It is a mile and three-quarters in length, and spans both sides of the creek drainage. All told, the ranch owns two-and-one-half miles of Thomas Creek and a one-half-acre pond. The Kettle Hollow unit of the ranch lies a mile to the north of Benton Creek, and Kettle Hollow Creek flows through the ranch on its way to join Benton Creek. Also mentioned earlier, this hidden mountain valley has two miles of creek, a three-acre reservoir, and a half-acre pond, all lying below adjacent rocky, timbered ridge lines. These ponds and wetlands are unique features providing excellent elk rutting habitat. During any given rut, one can count dozens of wallows. A deeded land extension of this Kettle Hollow unit provides limited and direct access to a landlocked adjoining section of state land. With strategic hunting plans and designated sanctuaries, the elk are almost always on the ranch during hunting season. The hunting pressure from neighbors in the area cause the elk to seek refuge on the property. Because of the high elk density in the area it is possible for one and/or an unlimited number of family members or guests to obtain two elk licenses per hunter per season - one bull/cow tag and one cow. The hunting is currently leased to a respected long-time local outfitter who leases this ranch along with several neighboring ranches. His one-year lease reserves two days per week for the ranch owner’s own hunting. His clients are few and selective, so the harvest has been quite light. Not only does the area offer downhill skiing at either Bridger Bowl or Showdown, but there is always a plethora of outdoor entertainment nearby. Snowmobiling is a favored pastime in the area and a group called the Meagher County Little Belters organize events in the neighboring Little Belt Mountains. 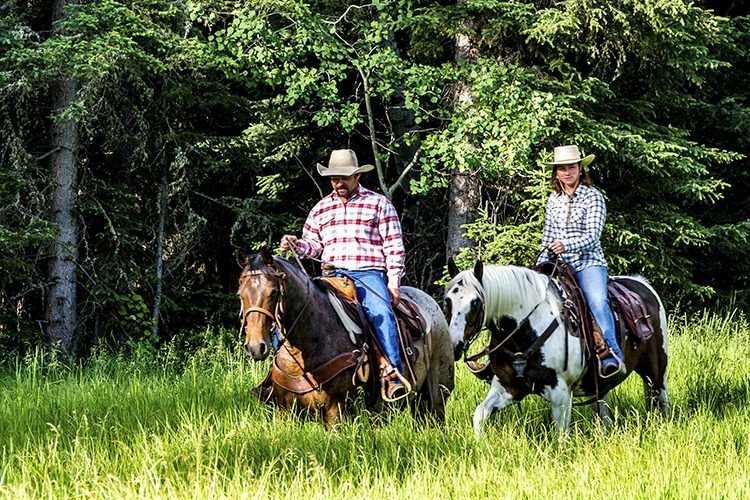 Horseback riding, cross-country skiing, snowshoeing, hiking, backpacking, biking, wildlife viewing, or camping – all can be enjoyed on the Elk Basin Ranch or within the neighboring thousands of acres of Helena National Forest. The aforementioned Red Ants Pants Music Festival draws music lovers to the small town of White Sulphur Springs to partake in the well-known Festival at the end of July. There is also a Fun Run, Labor Day Rodeo, 4th of July parade and numerous other community events. Overall, the Elk Basin Ranch represents a balanced 100-120 cow/cattle operation. 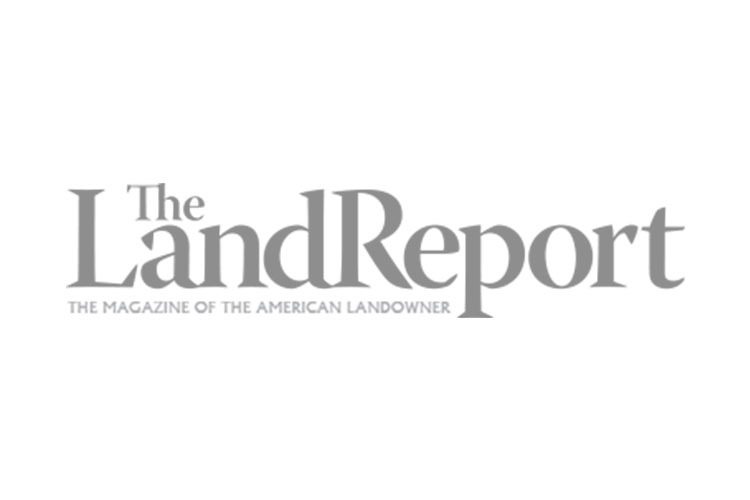 The current owner leases the ranch operations to a neighboring, multi-generational, respected rancher. This simplified operation involves taking in about 150 pairs mid-May to July 1st, and again September 22nd to mid-December. The irrigated lands have been used for hay production but will most likely be grazed starting in 2017. There are currently approximately 85 acres of hand-line sprinkler irrigated ground. The mostly grass stands of hay normally produce one cutting yielding two tons per acre.